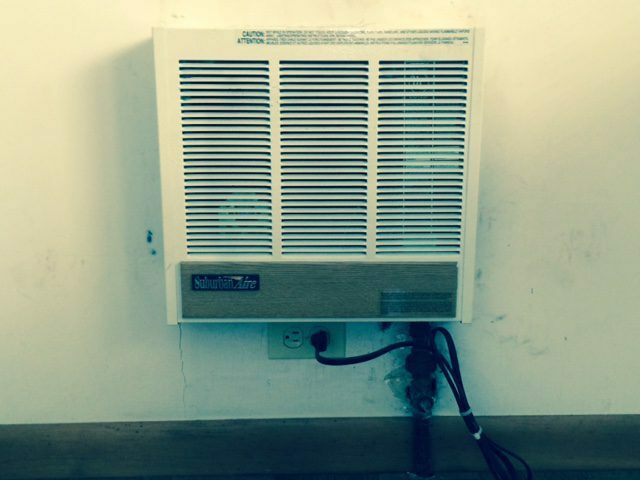 Your heating system works harder if there is air flow between the heated and unheated areas. 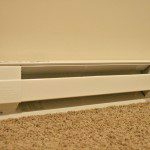 Unheated attic rooms, under-heated enclosed porches, and unheated, partly finished basements frequently don’t get freezing cold. They just get uncomfortable. If you have an unheated attic that is not insulated, the house heat will rise through the top floor ceiling into the cold attic. 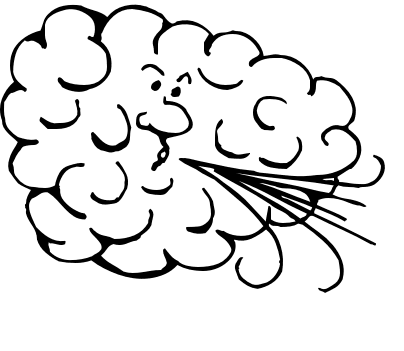 (Meanwhile, the heavier, cooler attic air will make its way down, if you have an open or uninsulated stairway.) 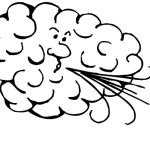 If you have a finished attic, with no heat, the household heat will rise into that area. The rooms will warm up, but not get all that toasty. Some porches are finished, with or without heat and insulation. It is the ones that are finished, but not heated that contribute most to drafty living rooms. Adding heat like this is a solution. 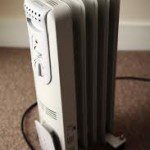 Is this gas heater installed properly? At first glance, I wondered. But, I checked with an inspector. 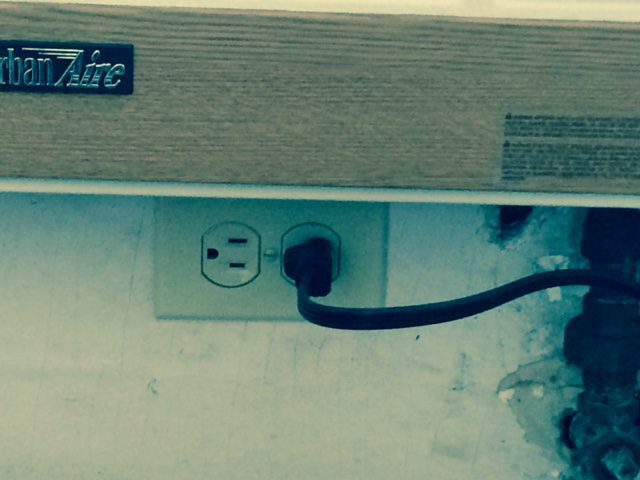 These units have electrical components, so they need the outlet. 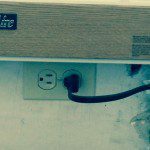 The outlet below the unit will not get overheated because the heater is moving air upward, away from the outlet. Another solution for adding heat is a split system. These are popular in Europe and Asia. 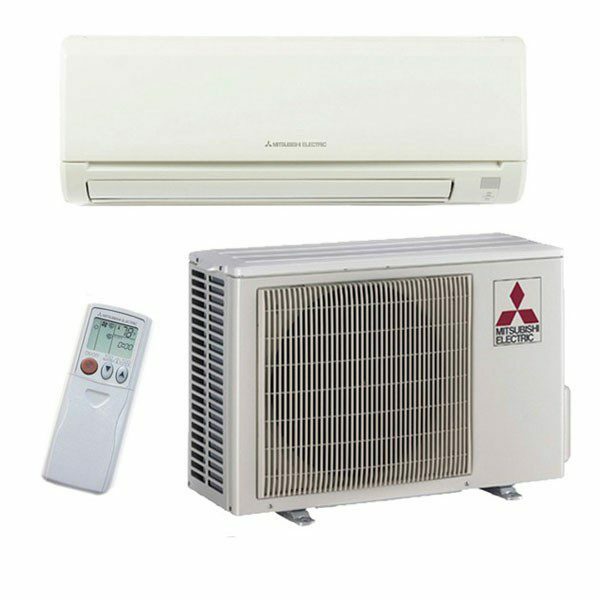 These units do both heating and air conditioning. So they solve two problems for finishing attic spaces. They run on electricity, but are efficient. 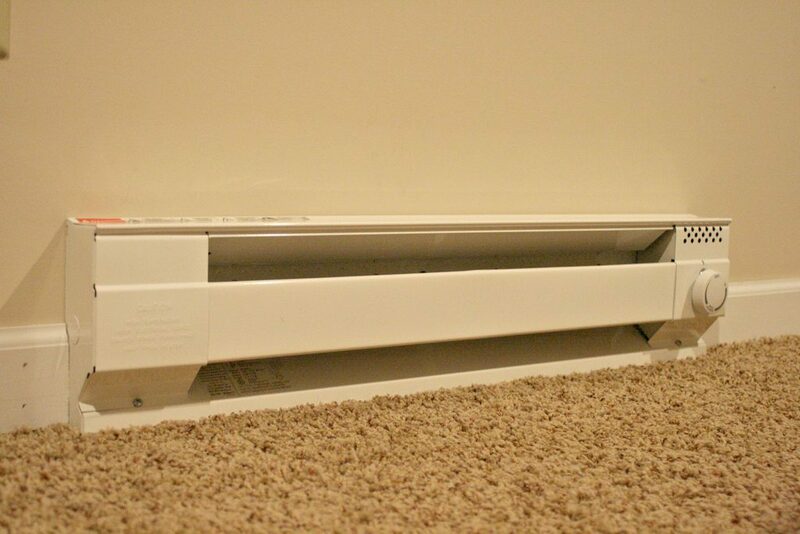 For basements, heating is recommended if you are finishing it. Unheated basements get damp and are prone to mold on wood and plasterboard. Basements rarely need air conditioning. 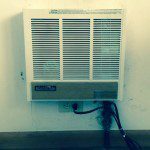 You may be able to add a zone off your boiler or furnace. If not, adding the gas heater shown above will work. Last resort is a strip of electric heat. These are not efficient; they are expensive to run. 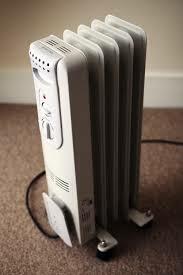 Whatever you do, please don’t depend on moveable, plug in heaters. Those are for emergencies and rentals.